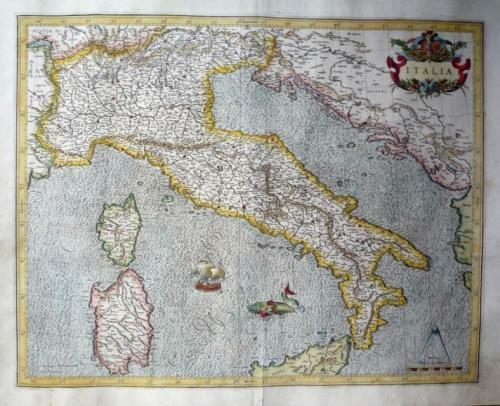 Title: 'Italia', from Gerard Mercator's famous "Tabulae Geographicae". Duisburg: 1589. A charmimg map of Italy.